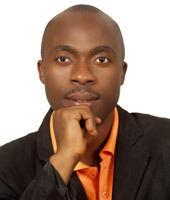 Lawrence Afere, Nigeria (Lagos) Chapter Coordinator, is the Managing Director of Morincam Industries & Resources Ltd. He is an empowerment trainer, entrepreneur, social agent and youth development facilitator. Lawrence is also the founder and coordinator of The Youth Farm Project in Ondo State, Nigeria where socio-economically disadvantaged youth are empowered through agriculture. In 2009, based on his innovative approach to solving youth unemployment in his immediate community, he was nominated for a national award by the Federal Ministry of Youth. Lawrence holds a BSc. in Business Administration from Covenant University, Nigeria.